Austin Exploration has significantly expanded its flagship Pathfinder oil and gas property located in the DJ Basin in Fremont County, Colorado. The Company has acquired a further 3,721 acres situated directly adjacent to Austin’s existing 11,560 acre Pathfinder property. 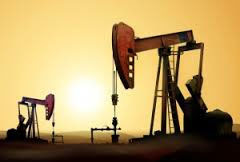 This is a significant development for the Company as it now controls 100% of 15,281 acres with no depth limitations in the DJ Basin, a region that is recognized as one of the top three oil producing basins in North America. The property, which measures approximately 20 miles from North to South and 8 miles from East to West, adds significant value to Austin’s existing Pathfinder Colorado acreage due to its immediate proximity (see map below). This acquisition is also consistent with Austin’s strategy of boosting production and cash flows by focusing on the development of its lower cost conventional prospects in Colorado, Kentucky and Mississippi.